← Meet Steve Barrett – author of The Total Gym Ball Workout and The Total Dumbbell Workout. 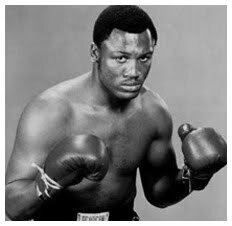 This week brought the sad news of the death of boxing legend Joe Frazier at the age of 67 after a brief battle with liver cancer. Smokin’ Joe, as he was fondly known, was a former world heavyweight boxing champion and the first man to beat Muhammad Ali. Ali and Frazier would be inextricably linked when Frazier floored Ali in the last round of ‘The Fight of the Century’ with his much-feared left hook when they fought for the first time for the world heavyweight title in 1971. This compelling rivalry would continue with a further two bouts; the final of this trilogy of encounters, the epic and brutal ‘Thrilla in Manila’, is still considered to be the greatest fight of all time.